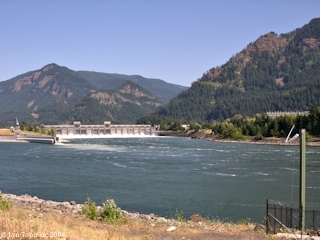 Click image to enlarge Bonneville Dam and Wauna Point (on right), Oregon. View from Hamilton Island. Image taken August 1, 2004. Wauna Point, Oregon, is a ridge located between Tanner Creek (downstream) and Eagle Creek (upstream). 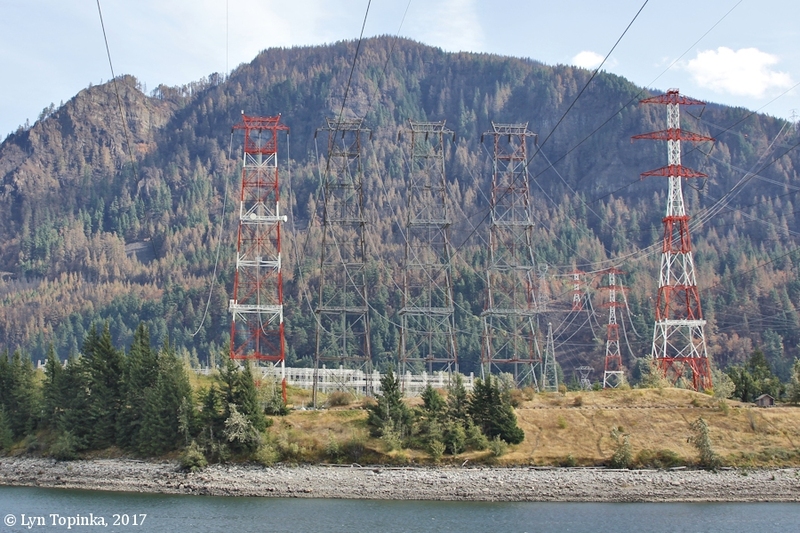 Wauna Point is located at Columbia River Mile (RM) 146, just upslope from the Toothrock Tunnel. 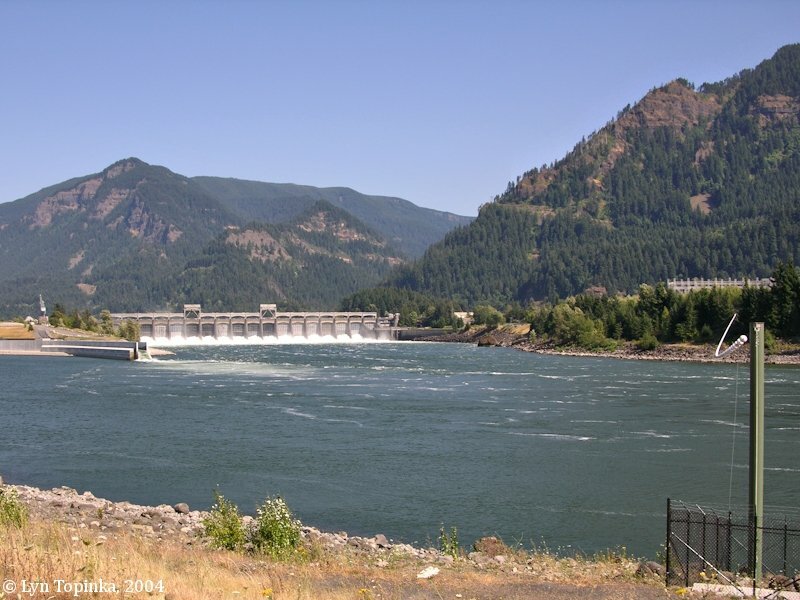 "Wauna" is an Indian name, possibly Klickitat, which describes a mythological being which represented the Columbia River. The name was applied to Wauna, a small community located near Astoria, Wauna Point, located in the Columbia River Gorge. At one time Bridge of the Gods was known as the "Wauna Toll Bridge" as ti was completed by the Wauna Toll Bridge Company in October, 1926.